I've been saving this for the London Olympics. I could have done this for Queen's Day or for the Euro 2012 but I deferred. In hindsight, I'm glad I didn't for the latter - our football team was an utter national disgrace. There was no team work and certainly no team spirit. Bah! Great footballers they may be but many of them have become selfish individuals with oversized egos. On the other hand, it's definitely worthwhile to cheer on the Dutch Olympic team. At least, I know the athletes will give their all. Go Holland!! Anyway, back to the polish. 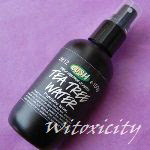 KOH Dutch is an old one from the permanent range. I think it came out in the initial lot of KOH Colours nail polishes a few years ago. The colour is pretty self-explanatory. Dutch = orange. It has a great consistency, a jelly-crème that went on effortlessly. I have two coats on. 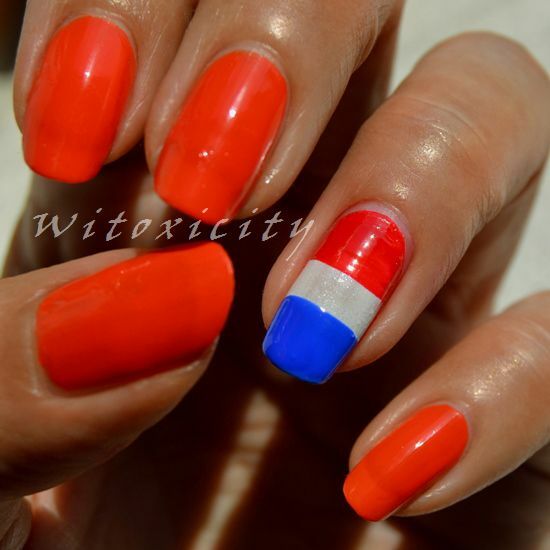 A Dutch-themed manicure needs a Dutch flag, correct? 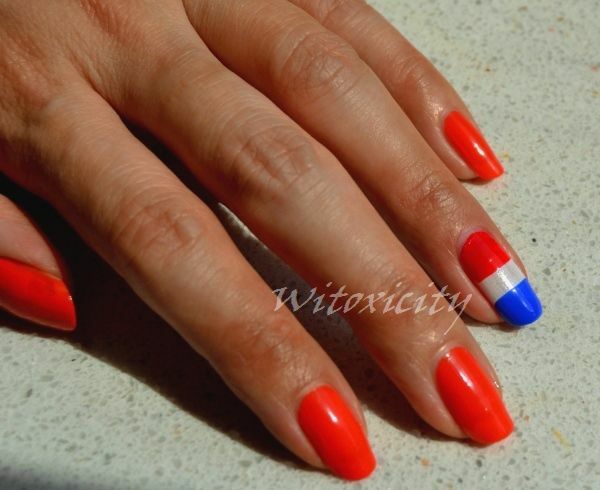 It's a good thing that the Dutch flag is a simple one to re-create: colour-blocking with three polishes. The links will lead you to my old posts featuring the individual polishes. 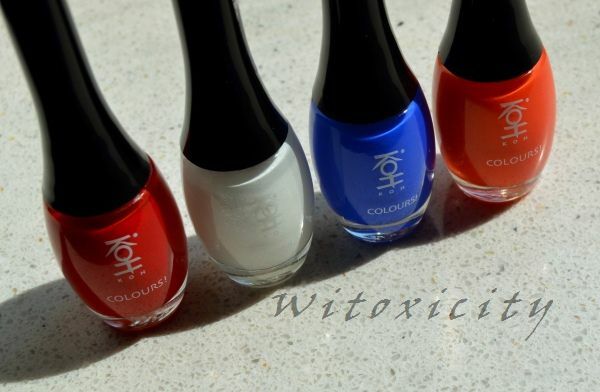 Polishes were provided by KOH over the course of the year. On a different note, KOH's next Limited Edition collection is due to be released in September. The collection is called KOH Sound and from the picture I've seen in the press release I received, it's a fairly broody collection. At a glance, the collection looks almost monochromatic but I'm sure there's more to it. Well, I can't do much with a piece of paper for now. We'll have to wait and see. I would just ue the cloudy and the rock chick together as they compliment each other. Leuk gedaan hoor en mooie foto's ook! Hopelijk winnen we een aantal medailles. Je hebt trouwens helemaal gelijk met die voetballers, het zijn OVERBETAALDE en over het paard getilde verwende nesten. Zet er maar een paar amateurs neer, die nog wel willen werken, omdat het een eer is als je geselecteerd wordt. En die voetbalvrouwen krijgen ook te veel aandacht. Ik word kotsmisselijk van AL die gasten. Groetjes! Jammer dat het EK niet zo feestelijk was, maar hopelijk winnen we wat plakken in Londen. Love the Dutch manicure. :-) That orange is seriously bright, but gorgeous!